Includes Chart, Map & Gauge Controls plus over dozen toolbox components. We have been developing TeeChart since 1995, and endeavour to continue offering you the best tools for the job in the future. 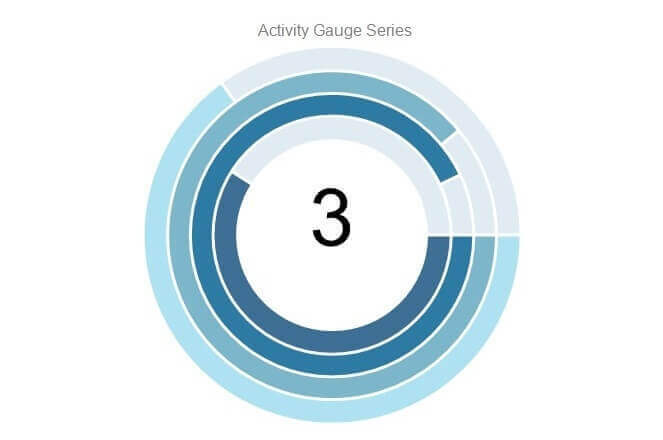 The TeeChart ActiveX offers a complete and customizable collection of over 60 types of Charts for data visualization. From the common Line, Bar, Area, Pie chart to the field-specific charts like Candle OHLC, Point and Figure, Volume, High-Low,BoxPlot,etc. Supports Circular and Linear gauge types plus combinations and includes various customization options. Alligator Technical Indicator is a combination of Balance Lines (Moving Averages). The TeeChart ActiveX charting component provides a large selection Financial and Statistical Indicators that perform calculations ranging from basic mean; Mode Function, Median Function to the more complex statistical and financial functions. A specific list of current Functions and Indicators may be viewed at the Features section below. Using TeeChart for ActiveX in Visual Studio .NET using Visual C++. Gauges series type and indicators (Circular, Linear, Numeric, Knob and Combination) to display industrial instrumentation controls with lots of properties for fully customization. Provides a library of map series with properties and features for chart customization. Includes extensive demo, code examples for Visual Basic, Visual FoxPro, Visual C++, Visual Studio.NET, ASP Server examples, Help, Tutorials, blog articles, TeeChart wiki, etc.